The Standing Committee of the National People's Congress (NPC) approved the nomination of Wan Gang, president of Shanghai's Tongji University, as minister of science and technology, replacing Xu Guanhua. 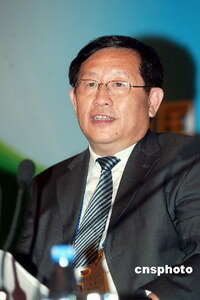 Wan Gang, a non-Communist party member, has been appointed as the country's new minister of science and technology. Wan, a member of the China Zhi Gong (Public Interest) Party, replaces 65-year-old Xu Guanhua, becoming the only current non-Communist party minister in China's State Council. This is a notable move in China's political arena after top leader Hu Jintao urged the country's other political parties to play an active role in pushing the reform and opening-up drive. In the 1950s a number of non-Communist members were appointed ministers in the country's cabinet but they were soon dismissed during the "anti-rightest" movement. Wan is vice chairman of the Central Committee of the Zhi Gong Party, a non-Communist political party with more than 15,600 members. A former automobile engineer at the Audi Corporation in Germany,Wan, born in August 1952, was president of Shanghai's Tongji University before his new appointment.